As promised, I’ve begun the drawing exercises on my journey towards a new style. Above is the first exercise in the Think and Design Jewelry Series, which is to, essentially, draw a flower. I drew a bunch because it was so much fun to remember that hey, I used to know how to draw! 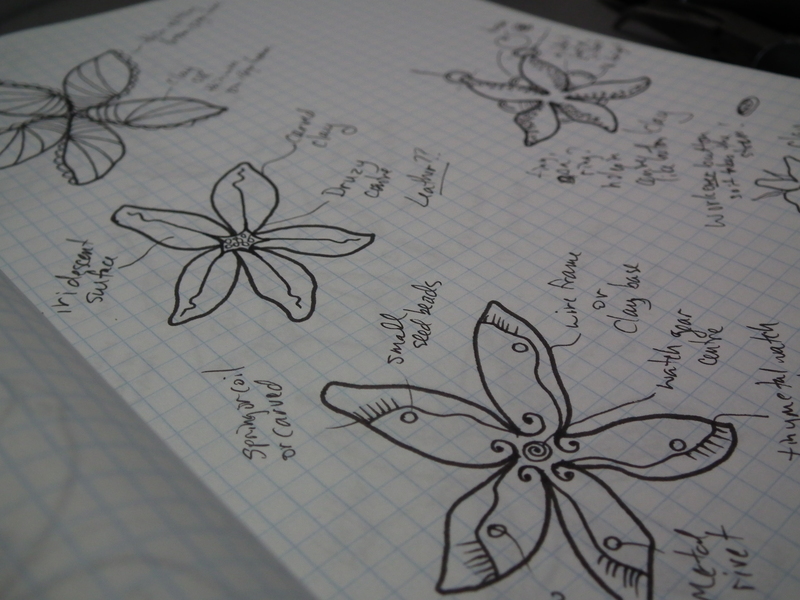 Part of the exercise is to come up with a bunch of loose concepts for types of designs based on the flower. I was somewhat distracted while working on the first batch but my second pass yielded a few ideas I think I might even put into production – including, perhaps, clay button starfish rings! So far, I’m excited to see where this journey takes me.